​Tamas Lorinczy is an English qualified solicitor in the London office of Gibson, Dunn & Crutcher. Mr. Lorinczy has had a wide range of corporate transactional and general advisory experience, with a primary focus on cross-border mergers and acquisitions. Mr. Lorinczy advises public and private companies, private equity funds and banks across a broad range of business sectors. 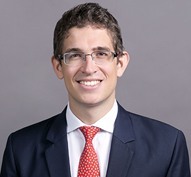 Prior to joining Gibson Dunn, Mr. Lorinczy trained in the London office of Baker & McKenzie LLP where he spent six months seconded to Standard Chartered Bank. Mr. Lorinczy is a member of the Firm’s Associates Committee and global Pro Bono Committee. Mr. Lorinczy is a Fellow of the Royal Society of Arts and a member of the Royal Institute of International Affairs. Representation of Gulf Marine Services plc on its introduction to and listing on the London Stock Exchange. Representation of Gulf Capital in connection with its third buyout fund. Representation of Coty Inc. in its acquisition of Chanel’s Bourjois cosmetics business. Representation of Dresser-Rand Company Ltd, a Siemens-owned business, on the sale of its Peter Brotherhood business to Hayward Tyler Group PLC. Representation of Towers Watson in connection with its $18 billion merger of equals with Willis Group. Representation of Investcorp in its acquisition of 3i Group plc’s debt management business. Representation of Stone Canyon Industries, LLC / BWAY Corporation in its $2.3 billion acquisition of Mauser Group N.V. Representation of a Middle Eastern engineering and construction company in connection with a joint venture. Representation of a Middle Eastern family office in connection with a disposition and corporate structuring matters. Representation of a global private equity firm in connection with a number of acquisitions, dispositions and corporate structuring matters. Representation of Prosegur Compañía de Seguridad, S.A. in its acquisition of Command Security Corporation.